Salmaan Moerat, Marco van Staden, Damian Willemse, JD Schickerling and Cobus Wiese are the five uncapped players invited to a Springbok training camp in Stellenbosch, consisting of players from the DHL Stormers and Vodacom Bulls, as preparation for next month’s Castle Lager Rugby Championship. 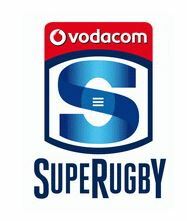 SA Rugby’s Director of Rugby, Rassie Erasmus, confirmed that players from the Emirates Lions and Cell C Sharks will join the training camp once they’ve completed their Vodacom Super Rugby commitments. DHL Stormers players Willemse (flyhalf) and Moerat (lock) both starred for the Junior Springboks earlier this year. They will be joined in Stellenbosch by their franchise team-mates Schickerling (lock) and Wiese (flank/lock), who also played for the SA Under-20s earlier in their careers, while Van Staden (loose forward) has been in great form for the Vodacom Bulls. Also included in the training squad were the experienced Eben Etzebeth (lock), Coenie Oosthuizen (prop) and Trevor Nyakane (prop), all of whom missed the June internationals due to injury. “I want to thank the franchise coaches for allowing their players to attend the camp, which we view as a very important part of our preparation,” explained Erasmus. “We’re very pleased that several players got the opportunity to gain Test experience during the June internationals and we are now looking forward to working with more of our most promising players, such as Damian, Salmaan, Marco, JD and Cobus. The bulk of the squad will start with training this week, while a few of the Cape-based players already did some individual training activities under the watchful eye of the Springbok coaching and conditioning staff in Stellenbosch.